A loan of $575 helped a member to buy fertilizer and pesticides. The person raising her hand in the photograph is Zipporah, a member of Umoja Women Group. She is 40 years old, married and living with her five children. She earns her living by practicing vegetable farming. Zipporah joined Hand in Hand Eastern Africa in 2012 and has benefited from training on saving, enterprise and financial management. 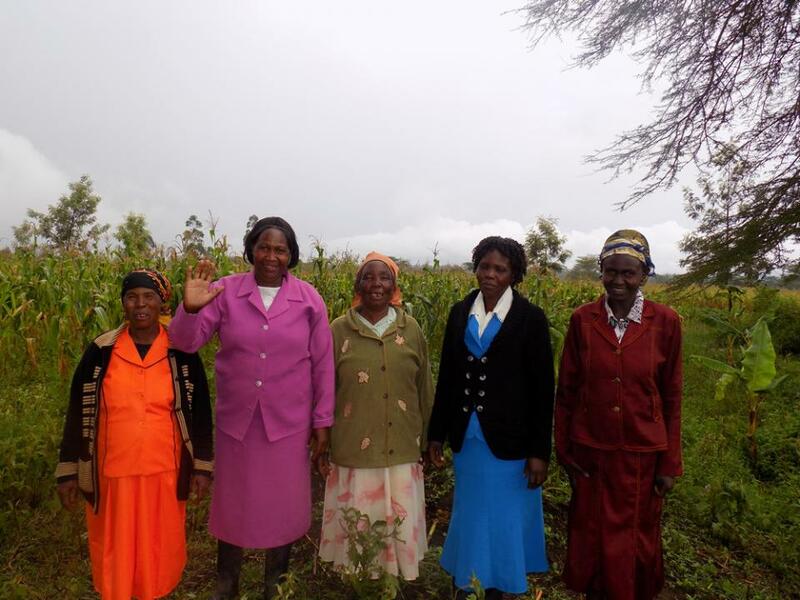 She is borrowing a loan to purchase farm inputs such as fertilizer and planting seeds. She hopes this will improve the crop yield and thus, more supply to the market. The anticipated increased income will enable her to meet the cost of educating her children. Zipporah is very grateful to Kiva and their lenders and promises to repay the loan promptly.